Now that autumn has arrived and the leaves are falling, your backyard view might not be what it was when foliage provided a shield. 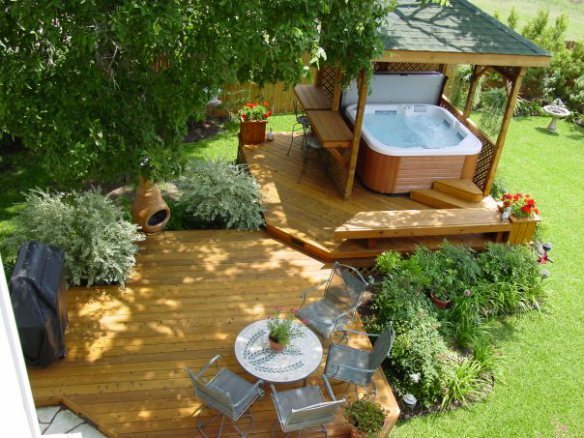 Or maybe you’re looking for ways to make your outdoor space more private, year-round. But herein lies the dilemma for many homeowners. How can a deck, porch or other outdoor space provide neighborly curb appeal and bring intimacy and solitude as well? There are all sorts of design possibilities for an inviting space that quietly affords a level of seclusion. Sound rather impossible? Not in the least. Here’s how. A great looking fence is the obvious choice whether it’s used to tackle a small ‘hot spot’ or a larger area. But unless you want your entire yard secured by a fence, a partial screen is a great option to maintain an open feel. 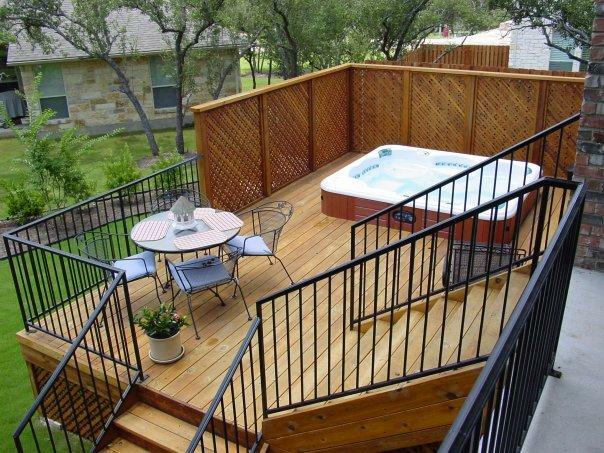 And just like a full fence, a privacy screen or partial wall can put up an outdoor barrier while adding unique style to your deck. And best of all, today’s outdoor screening is fashionable, found in different colors, patterns and materials too. From simple wood lattice, to woven or slatted strips and artistic metalworks such as Parasoleil, products to fit your sense of style are readily available. Costs will be dictated by the project scope and materials used. 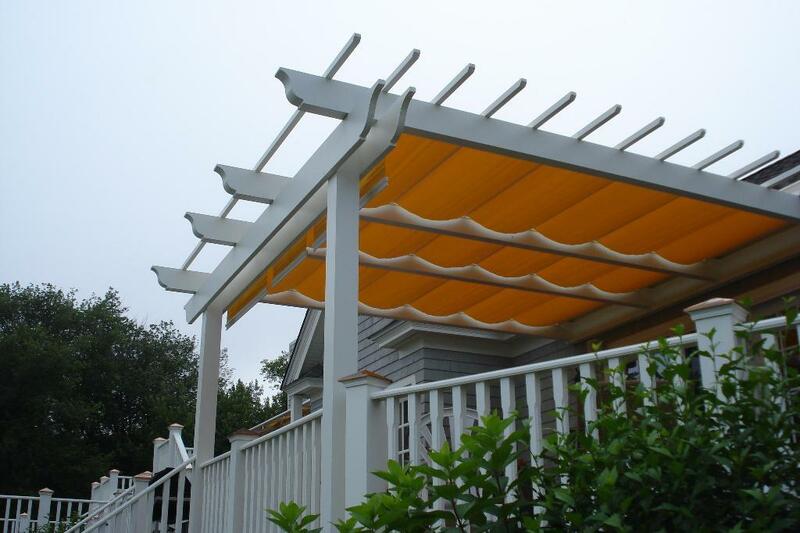 Add a structure such as a solid roof, pergola or trellis. A pergola is a fantastic framework for a canopy, hanging plants or vines which — yep, you guessed it — increases intimacy and privacy. A trellis can also support tiers of foliage to construct an organic layer for shielding an unwanted view. Fabric panels or shutters are trendy. In St. Louis, we haven’t built a project that has incorporated fabric or shutters into the design; however, we’ve seen it done. Discover more inspiration on our Pinterest boards. When building a new deck, don’t clear the trees. Use them instead. Trees around a deck, particularly a wooded area or evergreen hedges, provide a sound barrier, extra shade and privacy in a natural setting. So no matter your budget there are plenty of ways to block the view, anytime and anywhere. 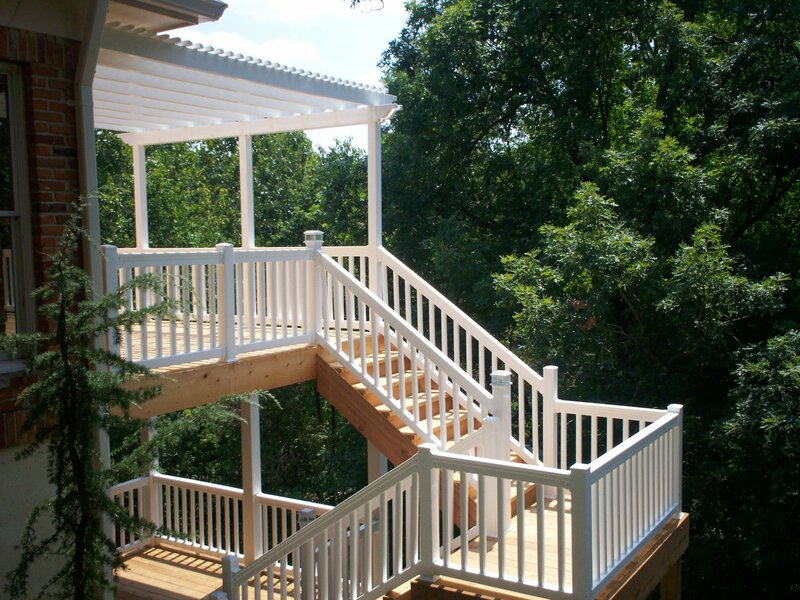 If you live in the St. Louis area and are interested in adding a deck, screened porch, pergola or other outdoor space to your property, please consider Archadeck. You can call us anytime, 636-227-0800. Or visit our website to send an email or submit the online inquiry form. You can also find us on our new Google+ page and Pinterest page. Both of these sites provide an excellent tool to explore the possibilities in the world of outdoor living. And of course, you can always follow us too! Sources: Beautiful Backyard Blog, Archadeck Outdoor Living, Archadeck in Austin, Better Homes and Gardens, parasoleil.com, California Fence Co.